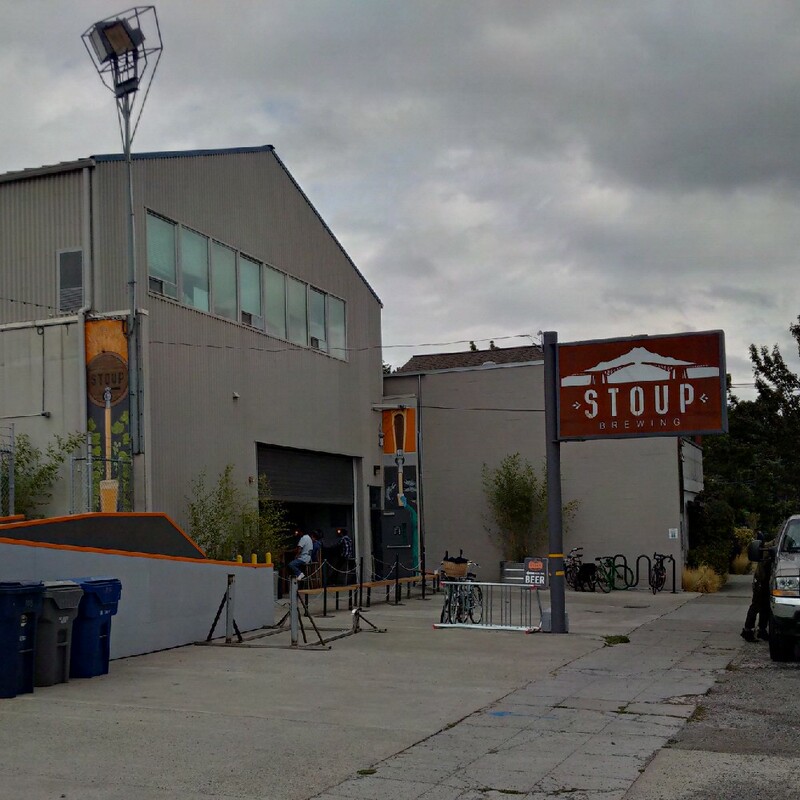 My second stop on my walking tour of the Ballard Neighborhood of Seattle was Stoup Brewing. Stoup Brewing is a brewery I had never heard of but was highly recommended by almost everyone I talked to at Hilliard’s Beer and on the walk to the brewery. The tasting room is pretty small but well laid out with a bunch of tables and a bar area with lots of chairs. They do have an outside patio but I missed out on checking it out. Their bar area is interesting as their cooler area is located inside a brightly orange painted cargo container. All six of the beer I tried in the tasting room were really high quality beer and I wish I had brought a growler or two with me on this walking tour! Stoup Brewing only offers beer to drink in the tasting room and growler fills so if you would like to try their beer and you should then you will have to head to Ballard. This is a pretty small operation with a small brewery located beside the tasting room. Multiple small tanks helps pump out a pretty good number of different brews ensuring you would never get board drinking here. On top of really good beer and a great looking brewery this place had a really good vibe with lots of friendly people and amazingly friendly and helpful staff. They really made me feel at home and made sure I enjoyed my short stop into their brewery. This entry was posted in Beer Travel, Brewery and tagged ballard, brewery, craft beer, craft brewery, lounge, patio, seattle, stoup brewing, usa, washington.